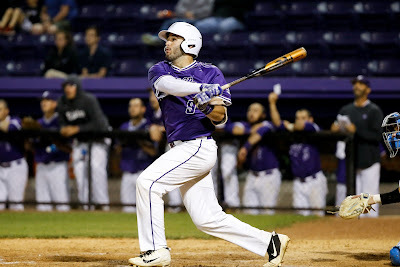 Furman entered Friday's opening game of a series against rival The Citadel coming off a pair of lopsided wins this week. For the first seven innings Friday, all that momentum appeared to be out the window. Bulldogs' starter Jordan Merritt piled up nine strikeouts throwing seemingly nothing but sliders over those seven innings. But with a 4-1 lead going to the bottom of the eighth, Citadel relievers began throwing straight pitches. That is, straight at Furman batters in the eighth and straight down the middle in the ninth. Only four pitches were thrown in the ninth though. That's how many it took for Dax Roper to launch one deep into the night for a walkoff home run in Furman's 5-4 win. "That's a huge win. 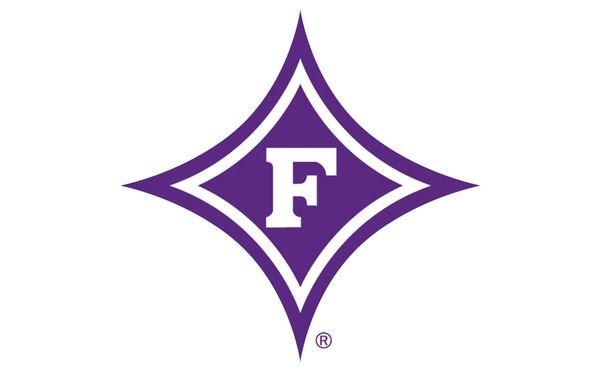 We showed some serious resilience there," Furman coach Brett Harker said. "Tip your cap to Citadel's starter and the way they played early on that game. They came ready to play and honestly put us on our heels. I felt like we were in a boxing match and ducking the whole time because they were taking all the swings." One inning before his game-ending heroics, Roper started the eighth inning rally. The junior catcher, who had three strikeouts in his first three at-bats, belted an 0-1 pitch from Citadel reliever Zach Taglieri over the centerfielder's head for a double leading off the eighth. Furman, which stranded 11 baserunners, appeared for another wasted opportunity when the next two batters struck out. However, Anthony Fontana delivered an RBI-double down the right field line to cut the lead to 4-2. Then things got downright weird and stayed that way for awhile. Jared Mihalik, a 6-2, 219-pound sophomore, pinch hit for 5-10, 154-pound Bret Huebner and was hit by a pitch. Trent Alley, a 6-4, 200-pound junior, pinch hit for 6-1, 170-pound Banks Griffith and he was hit by a pitch to load the bases. "You send up all these pinch-hitters, playing for the long ball and they both get hit," Harker said. "I guess I was sending up bigger targets." Ian Foggo came on in relief of Taglieri and promptly hit David Webel to force in one run. Jabari Richards became the fourth consecutive Paladin to get plunked with a pitch to tie the game 4-4. In the top of the ninth, Citadel had a man on first with nobody out when Furman reliever Eric Taylor was called for a balk. Before the balk was recognized, Taylor delivered a pitch that the Bulldogs' Tyler Corbitt grounded to third baseman Logan Taplett. Recognizing that a balk had been called and seeing the umpire's hands raised for time, Taplett held onto the ball. The Bulldogs took advantage of a rule that allows teams to take the result of a play when a balk has been called and had runners on first and second. "I've been around a lot of baseball and I knew that was the rule, but I've never actually seen it play out," Harker said. "We played it as if it was a dead ball, but we learned from it. So hopefully that never happens again." Jordan Beatson came on in relief and got a ground ball to second that appeared to start a double play, but the throw to first got away. That allowed Citadel's Ryan McCarthy to come around from second to score what appeared to be the go-ahead run. However, Citadel's Tyler Corbitt was ruled to have interfered at second. That sent McCarthy back to second and gave the Paladins a second out. Beatson then picked off McCarthy to end the inning. Roper just missed a double down the left field line on the first pitch of the ninth. He then jacked a 2-1 pitch into the trees beyond the left field fence for his team-leading sixth homer to end the game. "What a roller coaster. ... We were able to hold tight long enough. I thought (Furman starter John Michael) Bertrand did a really good job of pitching around some jams. Then all the madness starts happening and you've just got to hold on to the bull," Harker said. "We held on just a little bit longer to give Dax an at-bat. I don't even know how far it went but the second he hit it, I knew it was gone." Furman (8-16, 1-3 Southern Conference) and Citadel (9-17, 2-2) play game two of the series Saturday. First pitch is scheduled for 4 p.m.